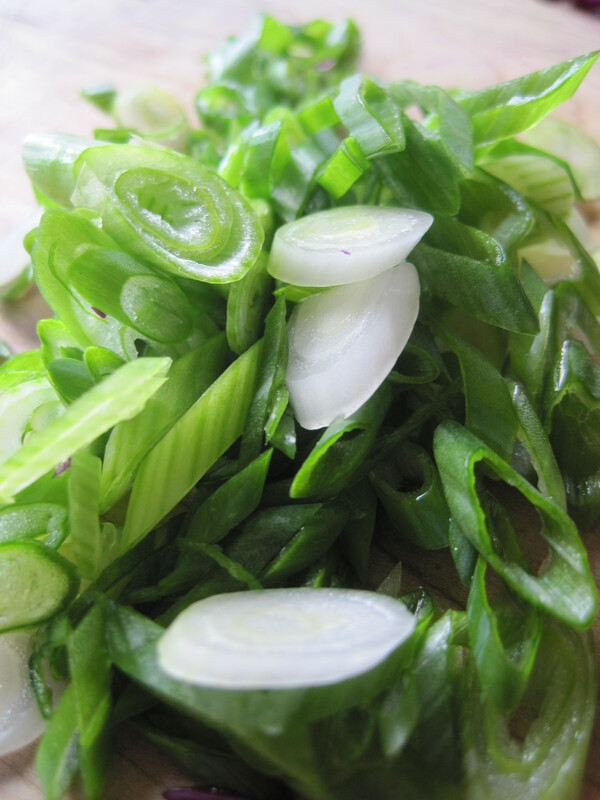 In the past, I’ve made a simpler version of this slaw as a topping for fried fish tacos. I toss thinly sliced red cabbage with fresh lime juice, a little honey, and ground cumin to make a refreshing accompaniment to hot and crispy fried fish. Wrapped in a warm flour tortilla, it makes my mouth (and my belly) very happy. Earlier this week, I made chiles rellenos con queso for dinner. For those not familiar with this dish, chiles rellenos is a Mexican classic. To make it, you roast poblano peppers, stuff them with Monterey Jack cheese, dip them into an egg batter, and then fry them into crispy, golden perfection. A spicy tomato sauce accompanies the peppers and the result is irresistible, despite its heart-attack inducing properties. Realizing that my resistance, let alone self-control, would be futile against such a dish, I decided to assuage my conscience and pair it with something healthy and light. And what could be a better match then honey-lime slaw. Only this time, I wanted to make a slaw that stood on its own. Fortunately it didn’t take much tinkering. 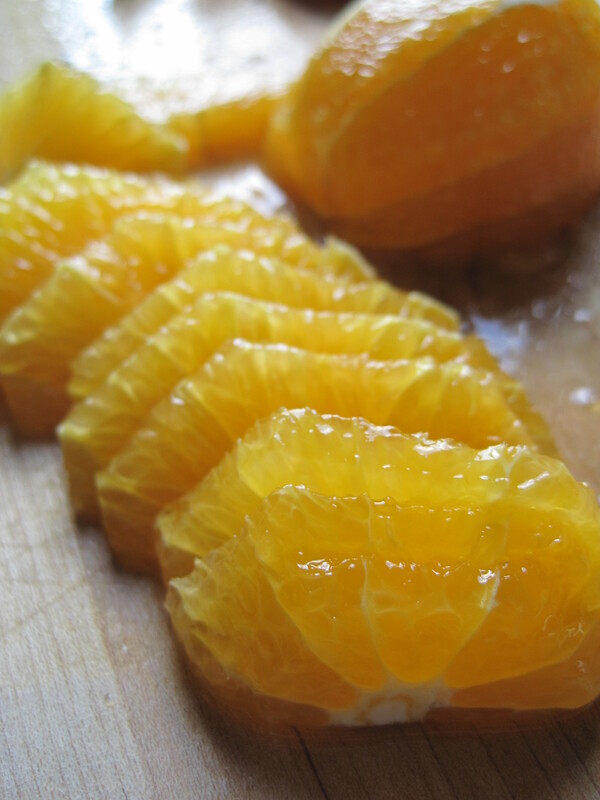 I simply added orange slices and thinly cut green onions. Tossed together, this colorful side is party-ready and takes only minutes to prepare. In other words, it’s perfect for your next fiesta! 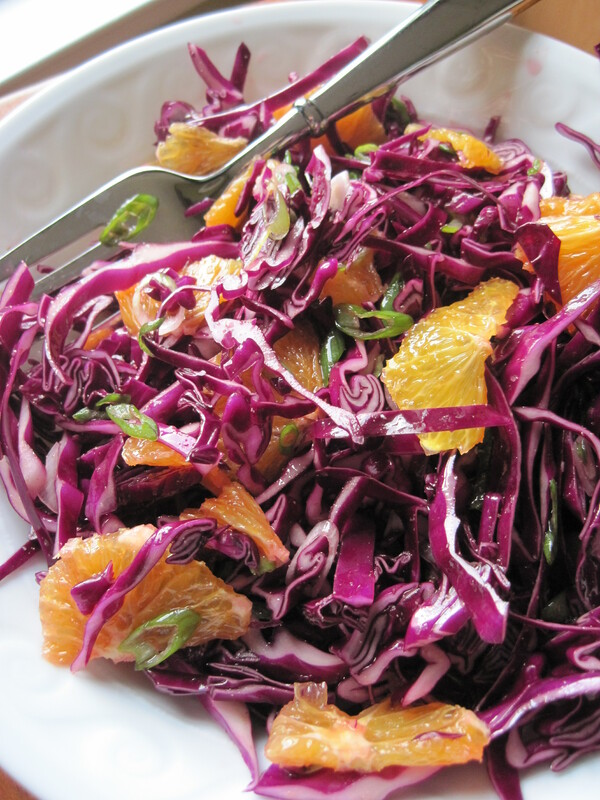 This colorful slaw would make a great addition to your next BBQ or Mexican dinner. 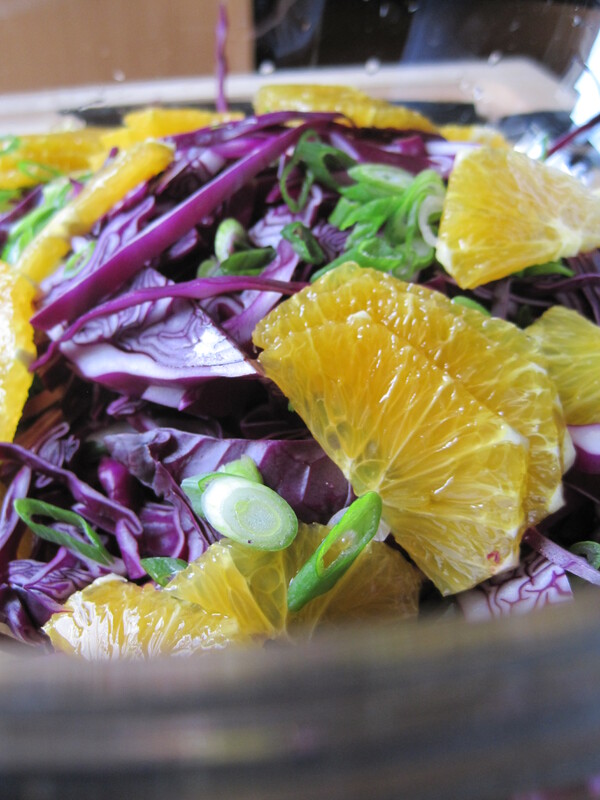 Combine the red cabbage, orange slices, and green onions in a large bowl. Toss to combine. 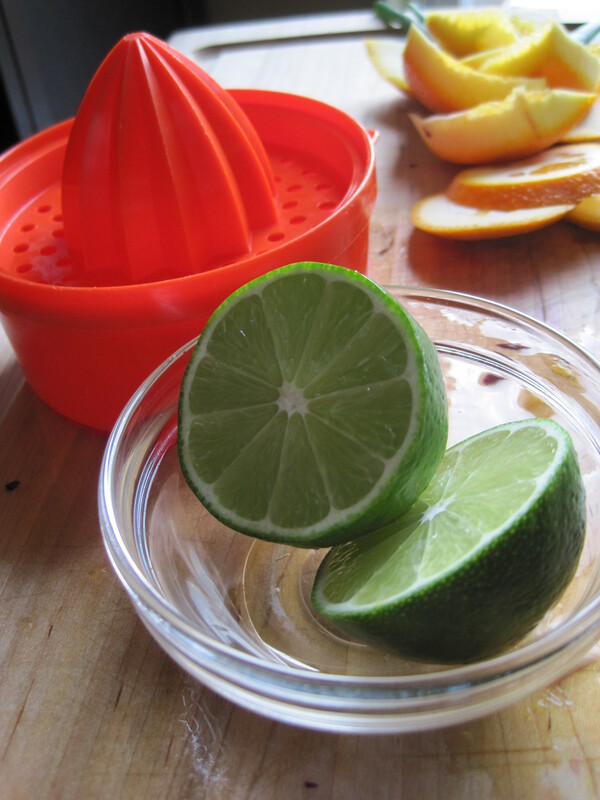 Whisk together the lime juice, honey, and ground cumin in a small bowl. Season to taste with salt. Drizzle the dressing over the slaw. Toss to combine. Adjust the seasoning as needed. 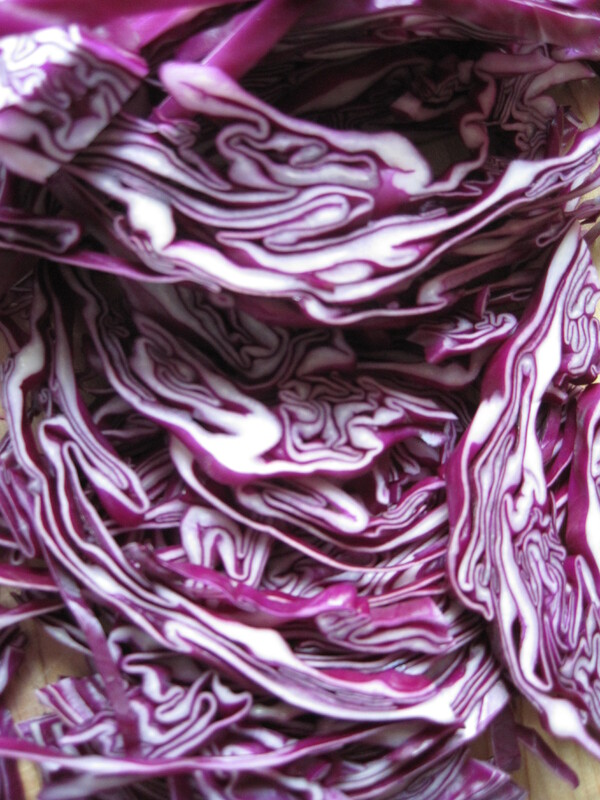 The slaw can be served immediately, but improves in flavor if refrigerated for 30 minutes prior to eating. Mmmm, I was sold at “lime” 🙂 Looks amazing. I want to try this out.